Are higher carbon prices a good thing? The answer could be yes. 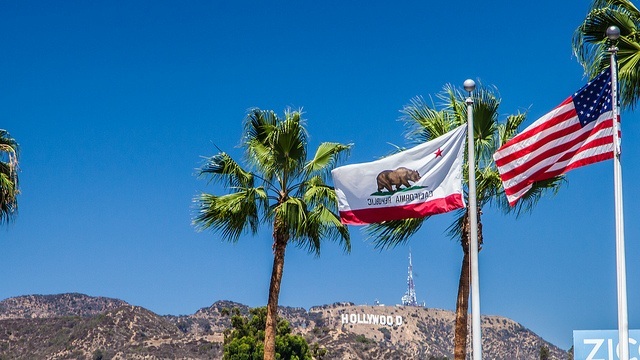 On May 21, California completed its eleventh carbon allowance auction, the third joint auction with Quebec, which has linked its cap-and-trade program with California’s. Carbon allowances are tradable permits that are the coin of compliance under cap and trade. Each allowance allows 1 ton of carbon dioxide equivalent (CO2e) emissions and is equally valid in either California or Quebec. The California Air Resources Board (CARB) released the auction's results on May 28, and prices settled at $12.29 per allowance, a small increase of 8 cents from the last auction. This indicates stronger confidence about future demand due to the governor’s recent executive order setting a 2030 statewide reduction target of 40 percent below 1990 emissions. These new results reveal a continuing trend of increasing prices, which began in August 2014 when the settlement price was $11.50 per allowance. Though prices are on the rise, they still remain close to the “reserve price,” or the minimum price that allowances can be sold at auction, as has been the case since the earliest days of the market. The reserve price started at $10 per allowance in 2012, and increases 5 percent plus the rate of inflation annually. The graph below illustrates reserve price and current vintage auction settlement prices over time, as well as the price of futures’ options for sale on the open exchanges. After early auctions settled close to $15 per allowance, prices dropped down to just above, if not at, the reserve price. The uptick in prices over the last three auctions is small enough to be difficult to see, but the upward trend is clear in the numbers. All things being equal, policymakers and pundits view a lower carbon price positively because lower carbon prices usually mean that reductions are proving less challenging than expected. But the upward carbon price trend over the last several auctions is helpful because, in California, low prices have indicated slack demand. The emissions “cap” — equal to the total number of available allowances — appears to have been set at levels where, at least so far, sought-after emissions reductions are largely being driven by other policies. Examples include the Renewable Portfolio Standard, which increases the supply of zero-carbon electricity, and new vehicle energy efficiency standards, which decrease transportation-related emissions. In this case, slack demand is a positive trend for long-term cap-and-trade system goals. Energy Innovation’s recent California policy analysis was the first to make use of facility-level data reported to CARB (the Mandatory Reporting data in regulatory terminology), which show emissions from sources covered under cap-and-trade amounted to 348 million metric tons of CO2e emissions in 2013. Emissions have likely fallen further since then, considering California’s other policies have ratcheted up in strength. Though near-term demands from cap levels under the cap-and-trade program are unlikely to drive significant emissions reductions, a carbon price is still important. Having one in place with credible expectations that it will persist and even trend upward helps guide long-term investment decisions, driving greater uptake for low-emission technologies. Despite stubborn pockets of poverty and unemployment, the strength of California’s broader economic recovery is unmistakable and predictions of climate leadership damaging the overall economy have been proven wrong. Last year, California was home to 1/3 of all new jobs created in America, with “advanced energy” jobs topping 500,000 in a recent survey. Add it all up, and for once, higher prices are a good thing all around: A healthy cap-and-trade market, greater emissions reductions, and dedicated funding for clean energy and our most deserving communities. Chart source: Energy Innovation graphic with futures data from the Intercontinental Commodity Exchange, accessed 12 March 2015; CA market data from CARB. Canadian data from the government of Quebec.